Soothe and replenish skin with the Clenziderm M.D. 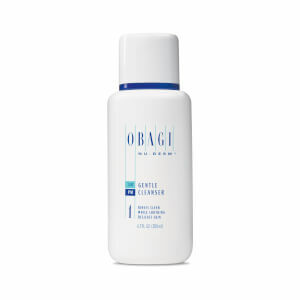 Therapeutic Moisturizer from Obagi. Formulated with ultra-hydrating Glycerin, the lightweight face cream works to infuse skin with intensive moisture while working to eliminate excess oil production. Non-comedogenic and soothing, it doesn’t leave skin feeling tight or uncomfortable and helps eliminate flakiness and itching often caused by intensive acne treatments. Fortified with Dimethicone, it effectively seals in moisture to leave skin thoroughly hydrated and softened. Active: Dimethicone (1%), Glycerin (20%), Other: Acrylates/C10-30 Alkyl Acrylate Crosspolymer, Allantoin, Butylparaben, Cetyl Dimethicone, Corn Starch Modified, Cyclopentasiloxane, Dimethicone/Vinyl Dimethicone Crosspolymer, Ethylparaben, Isobutylparaben, Lauryl PEG/PPG-18/18 Methicone, Methylparaben, Phenoxyethanol, Propylparaben, Triethanolamine, Water.